Whatever your level, age or style, you can indulge your passion for golf or take your first steps on the green with Blue Green golf courses and Flower. 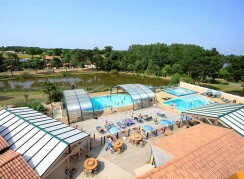 Set in some of France’s most beautiful countryside, you’ll find a Blue Green golf course to suit you close to your holiday location. Europe’s no. 1 golf course management company, our partner Blue Green is your quality guarantee and offers a wide range of packages to suit every pocket. What is more, Blue Green is currently offering special terms for My Flower cardholders. 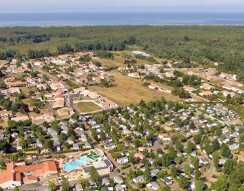 Find easily your campsite for golf. 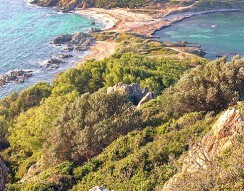 See a list of Flower campsites close to Blue Green golf courses for a great Green & Golf holiday. 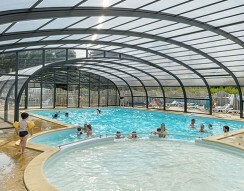 Vannes, overlooking the emerald-green waters of the Gulf of Morbihan, typifies South Brittany with its gentle sun, wild coastline, woods and mysterious islands. 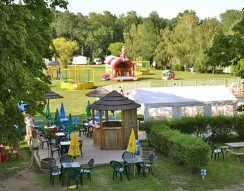 Our green and peaceful campsite makes the ideal base for a tour of the Châteaux de la Loire. 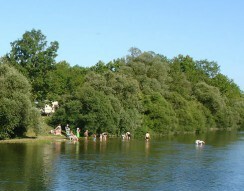 Discover the beautiful scenery of the Jura, enjoy canoeing or trout fishing in the River Loue and explore the local countryside by bicycle, on horseback or even in a horse and trap. 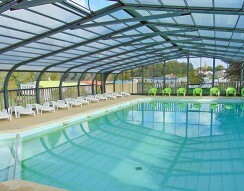 Enjoy a holiday close to the Olonne Forest, just a stone’s throw from our fine sandy beaches. 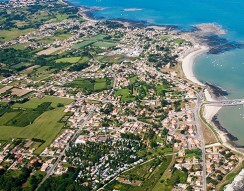 Sea, sand and seafood close to Pornic in Loire-Atlantique. 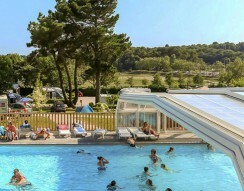 A wooded campsite with two pools and a small lake and all the sights and sounds of the Vendée: the Marais Poitevin, the beaches of Les Sables d’Olonne, the fabulous Le Puy du Fou theme park.